NY Times Bestselling author of several books––including, The Age of American Unreason––on modern American culture. 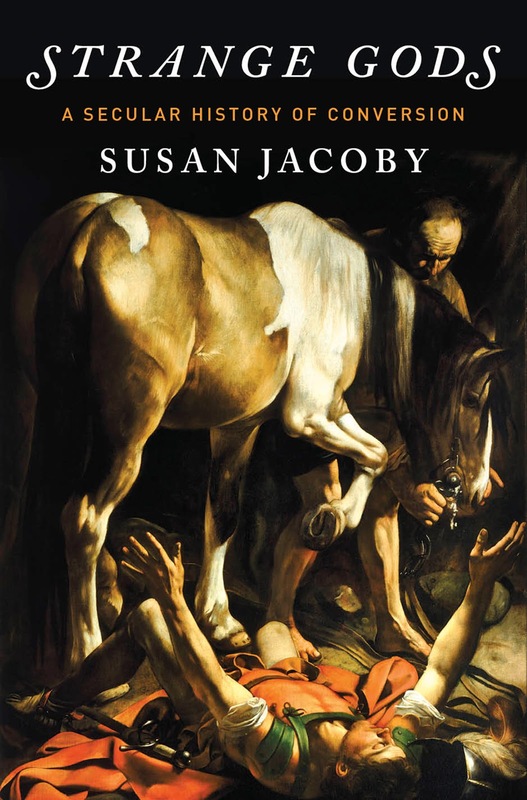 In this talk, based on the groundbreaking historical work in her book Strange Gods, Susan Jacoby addresses religious conversion in the West from an uncompromisingly secular perspective. Susan challenges the conventional narrative of conversion as a purely spiritual journey. From the transformation on the road to Damascus of the Jew Saul into the Christian evangelist Paul to a twenty-first-century “religious marketplace” in which half of Americans have changed faiths at least once, nothing has been more important in the struggle for reason than the right to believe in the God of one’s choice or to reject belief in God altogether. Jacoby offers a powerful case for religious choice as a product of the secular Enlightenment. In a forthright and unsettling conversation, linking the present with the most violent parts of the West’s religious past, she reminds us that in the absence of Enlightenment values, radical Islamists are persecuting Christians, many other Muslims, and atheists in ways that recall the worst of the Middle Ages. My American generation--born in the decade after the World War II--is the last to have grown up in a world in which men were supposedly in charge of everything except the upbringing of children. This is the world of "Mad Men," in which visibly successful males of the species are allowed to behave like pigs as long as they earn a good enough living to support their families and make their companies prosper. Flagrant adultery, impregnating secretaries, pimping for clients, even assuming a false identity to escape service in the Korean War: The good old boy network covers up everything. But there was a huge catch. The mid-20th century man who supposedly had it all could lose it all the moment he committed the ultimate male sin of failing to bring home a reliable paycheck. This essential point is being missed in the renewed public debate today over the proper balance of power between women and men--a debate that manages the neat trick, whether in fiction or politics, of simultaneously romanticizing and demonizing the last men on top. 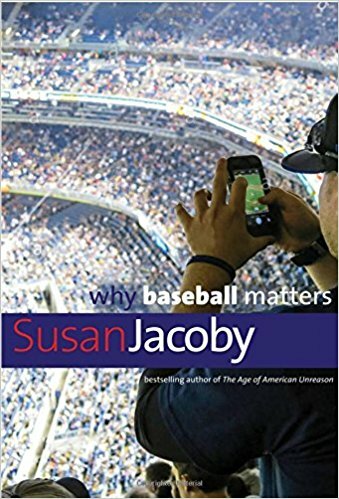 Susan Jacoby is an independent scholar specializing in the history of reason, atheism, secularism, and religious liberty—though she has just written a new and very different book, Why Baseball Matters, to be published by Yale University Press in April 2018. This will be her twelfth book. 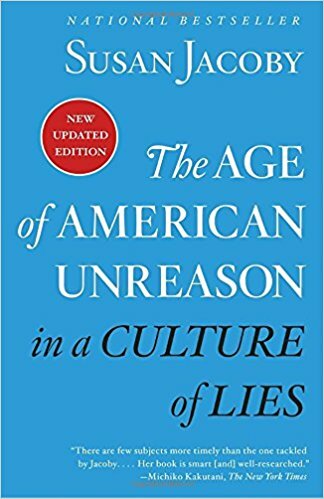 A new paperback edition of The Age of American Unreason will be issued in January by Vintage Books under the title The Age of American Unreason in a Culture of Lies. 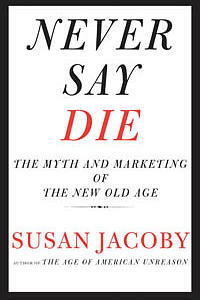 In this book, Jacoby explores the ways in which many of the trends she analyzed in 2008—from a public attention span shortened by social media to an education system that downgrades the importance of science and logical thinking—contributed to the election of President Donald Trump in 2016. Jacoby began her writing career as a reporter for The Washington Post. Her first book, Moscow Conversations (1972) was based on the articles she contributed to the Post from Moscow between 1969 and 1971. Other works include Wild Justice: The Evolution of Revenge, a Pulitzer Prize finalist in 1984, and The Possible She (1979). Jacoby’s reviews, articles and essays have appeared in a wide variety of national publications, including The New York Times, The American Prospect, Dissent, the Los Angeles Times Book Review, the Washington Post Book Review, the AARP Magazine, and The Daily Beast. 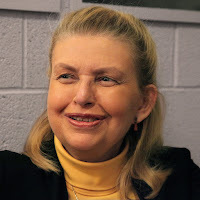 She has been the recipient of many grants and awards from the National Endowment for the Humanities and the Guggenheim, Rockefeller and Ford Foundations. In 2001 she was named a fellow of the Dorothy and Lewis B. Cullman Center for Scholars and Writers at the New York Public Library. 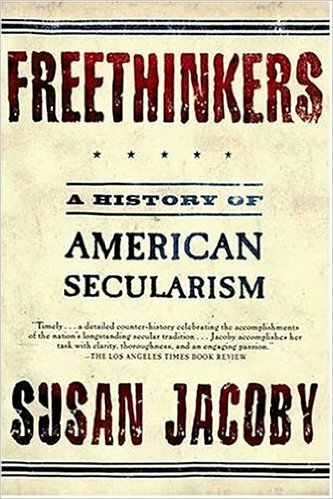 Susan Jacoby is a member of the honorary boards of the Freedom from Religion Foundation and the Center for Inquiry, a secular think tank. She lives in New York City.